Gears of Halo - Video game reviews, news and cosplay : What's wrong with picture Stephen? So for some strange reason apparently Bungie thought it might be wise to promote Halo using Stephen Colbert ... may be it's me not knowing much about America but I would have thought this was a target market mismatch.... either way, it didn't happen. 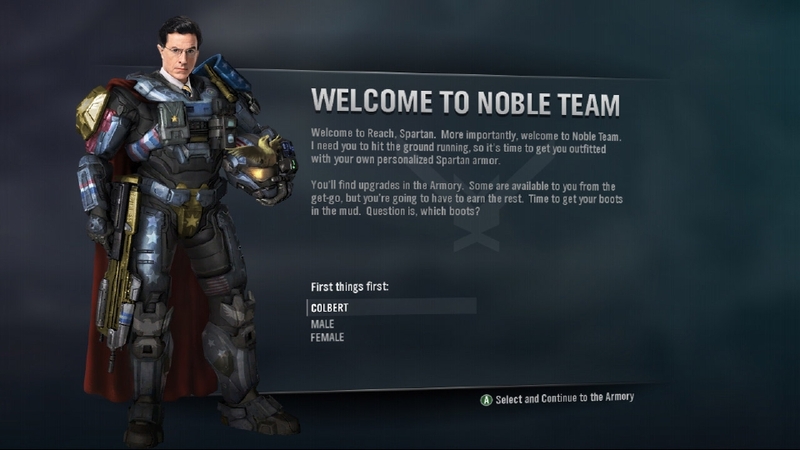 Either way, the internetz appeared to be talking about it so Bungie did this mock up of Mr Colbert as a spartan.